The feminine floral abstract watercolor print of this dress will take your breath away. 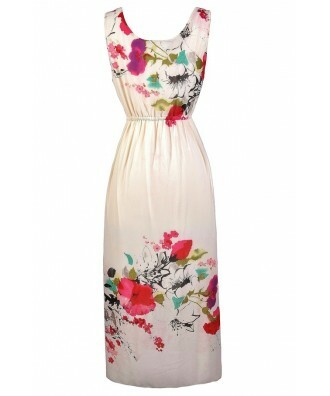 The Abstract Floral Watercolor Print Midi Dress is fully lined and made of a flowy fabric. 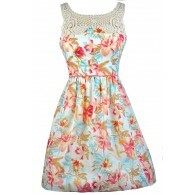 It has a beige background with a brightly colored watercolor floral print throughout. This dress has a rounded neckline, wide shoulder straps, an elasticized empire waist, and a flowy skirt that is slightly shorter than maxi length. 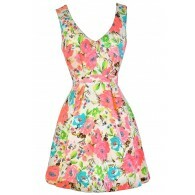 Try pairing this dress with black or beige wedges or heels. Wear it with flat beaded sandals for a more casual day look. You'll feel like a walking work of art in this pretty dress! Details: Fully lined. 100% polyester. Hand wash cold only. Lay flat to dry. Small measurements: Length from top of shoulder to hemline: 49". Bust: 32". 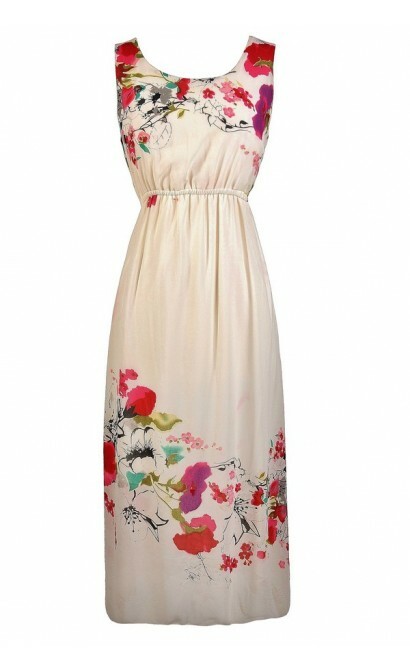 You have added Abstract Floral Watercolor Print Midi Dress into Wishlist. 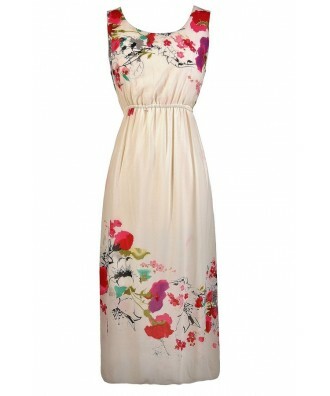 You have added Abstract Floral Watercolor Print Midi Dress for Stock Notification. 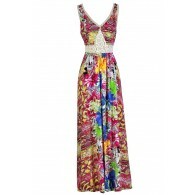 You have set Abstract Floral Watercolor Print Midi Dress as a loved product. 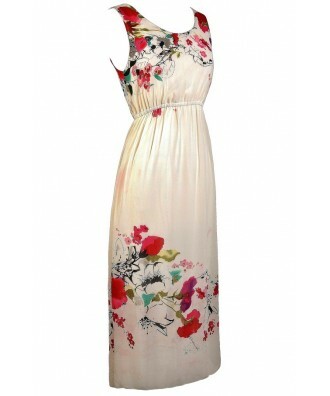 You have removed Abstract Floral Watercolor Print Midi Dress as a loved product.